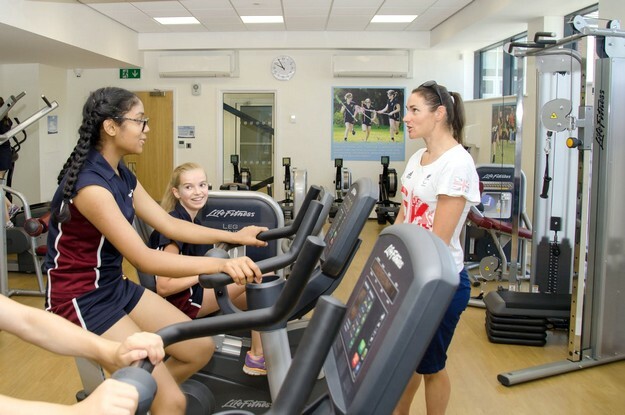 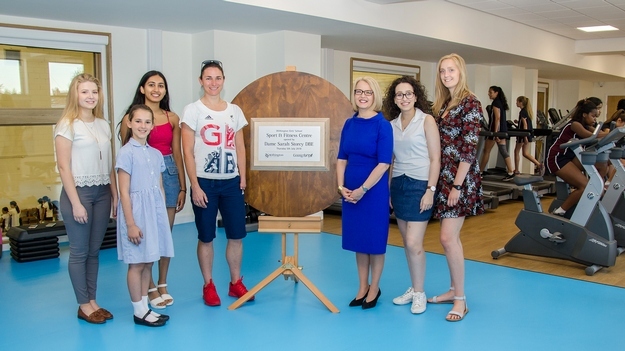 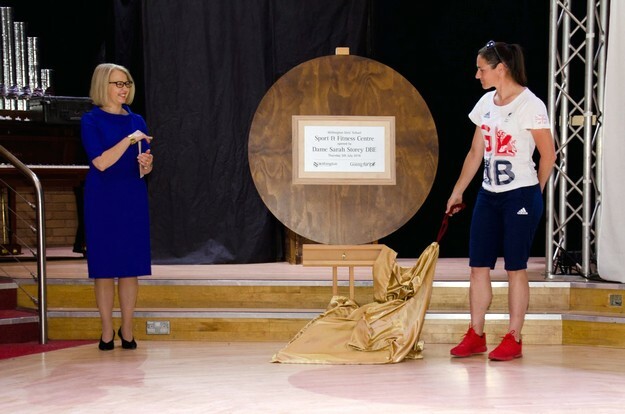 Withington marked the official opening of its impressive new Sport and Fitness Centre with a visit by inspirational Paralympian athlete Dame Sarah Storey DBE and a fun-filled day-long Festival of Sport. 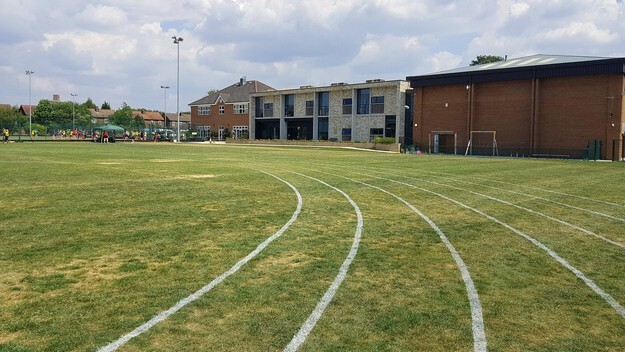 The new facility – which provides an expanded area for sports and PE; viewing galleries; a large fitness suite; a ‘mind and body’ studio and a welcoming reception and hospitality area – marks the completion of a year-long project, part of the School’s ongoing redevelopment programme. 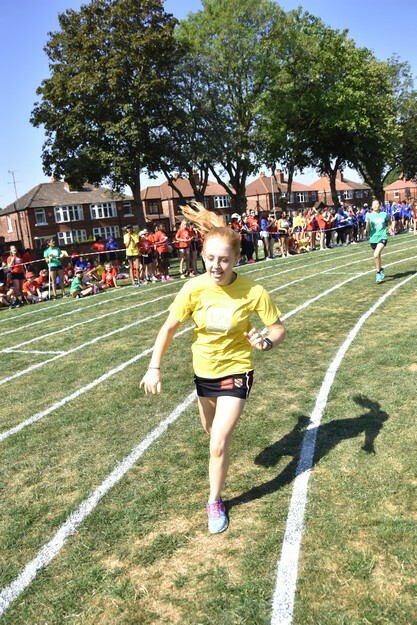 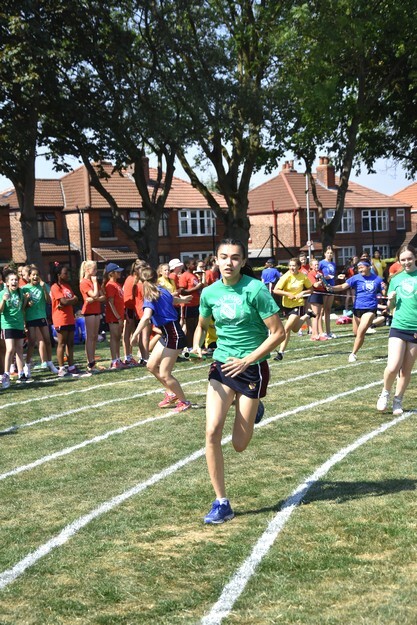 In an action-packed day of activities which was held on 5th July and included athletics, games, dance, and even ‘staff spectacular’ races, the Withington community of pupils, teachers, alumnae, governors and invited guests were in celebratory spirits as Dame Sarah formally unveiled the plaque commemorating the recently completed building, which, says Headmistress Mrs Haslam, ‘provides something for everyone’, and encourages pupils of all sporting abilities to ‘stay active for life’. 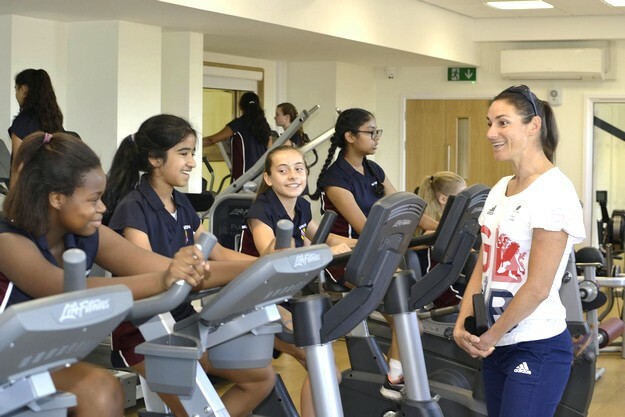 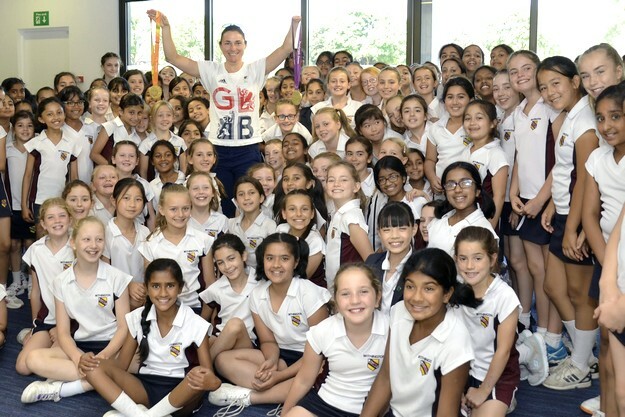 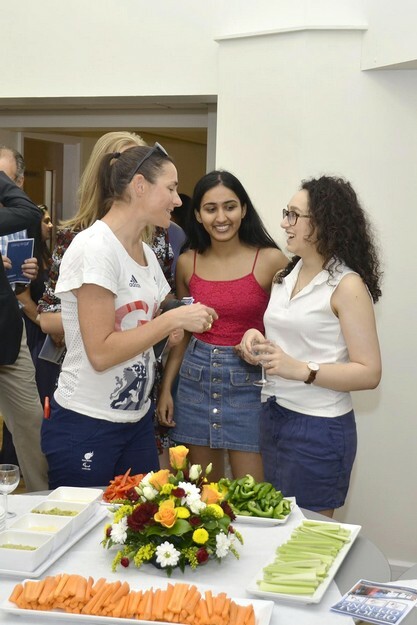 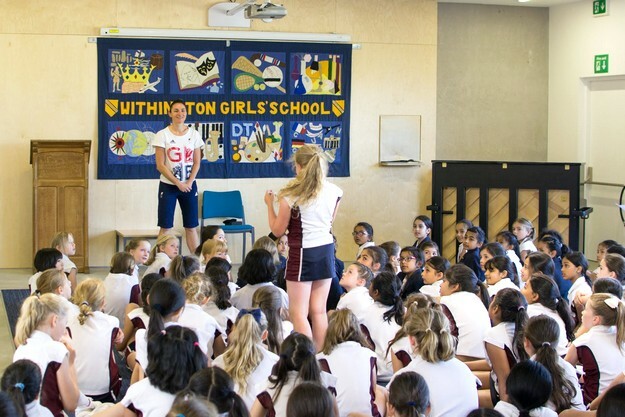 In talks to both Junior and Senior girls, Dame Sarah, who was first selected to represent Great Britain at the age of 14, also stressed the importance of being adequately prepared and of striving for incremental improvements on a day-by-day basis, ‘try to be a little better than you were the day before,” she told them. 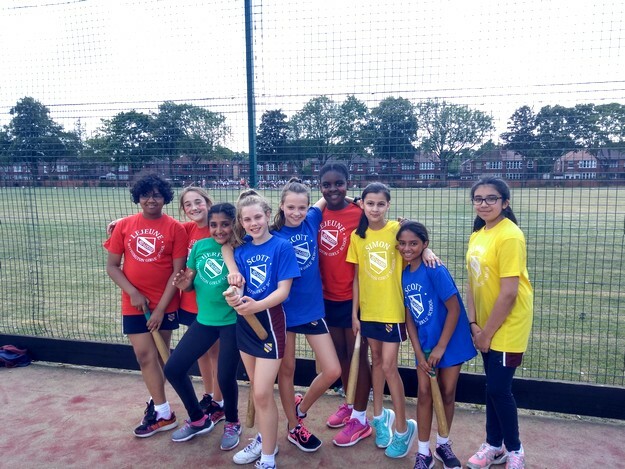 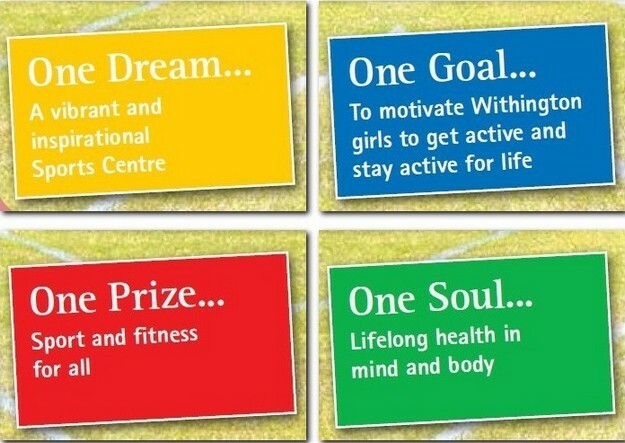 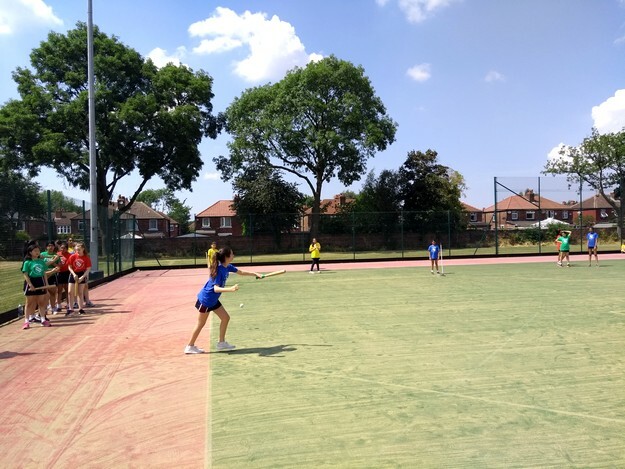 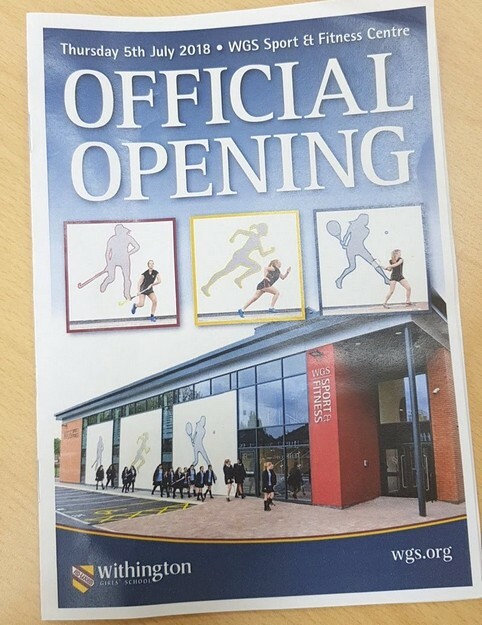 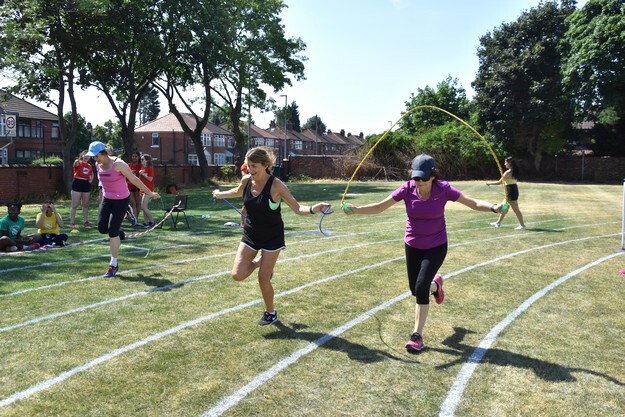 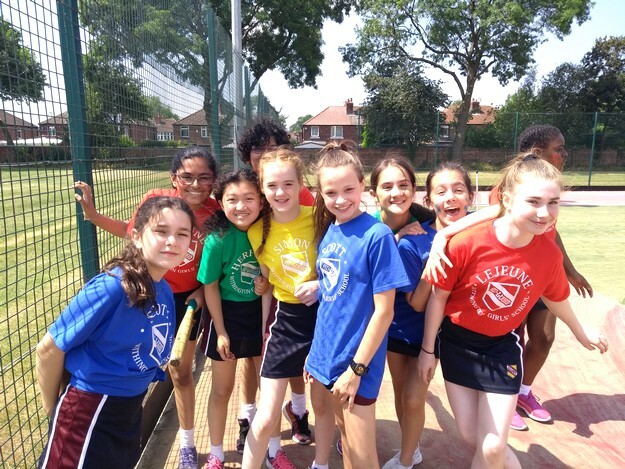 Thanking donors, WGS stakeholders and Withington’s Development Director Mrs Toni Leden for her tireless fundraising work, she added that a huge team effort now means that Withington is able to offer outstanding sporting facilities to all pupils, whatever their level of expertise. 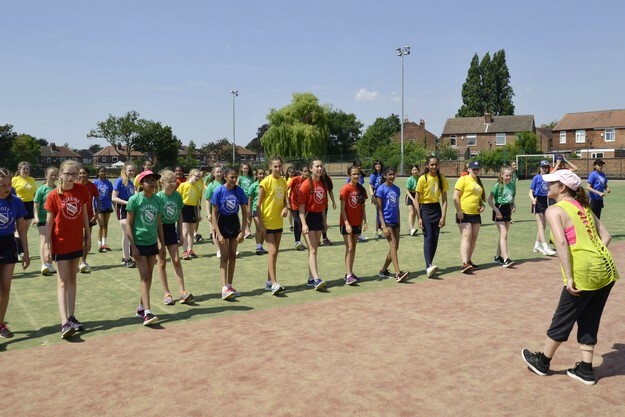 As part of the commemoration ceremony, a film Ad Lucem, produced by pupils on Withington’s School Council, was shown. 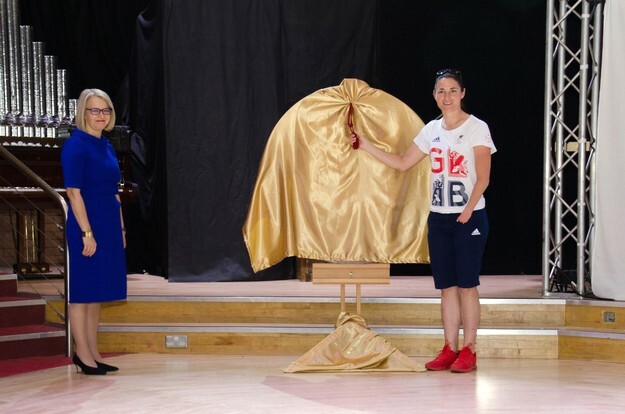 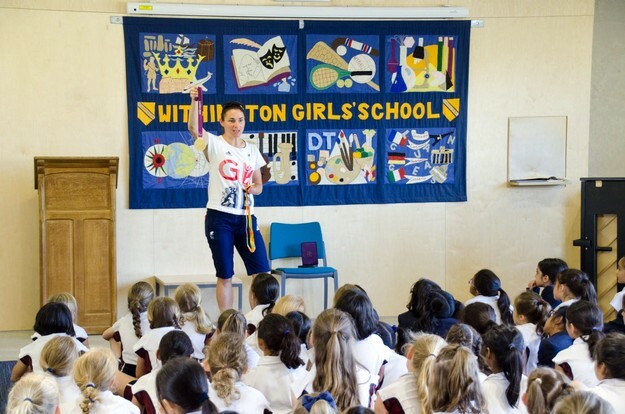 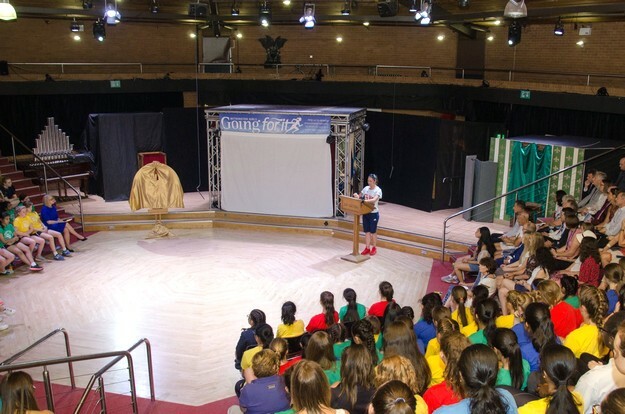 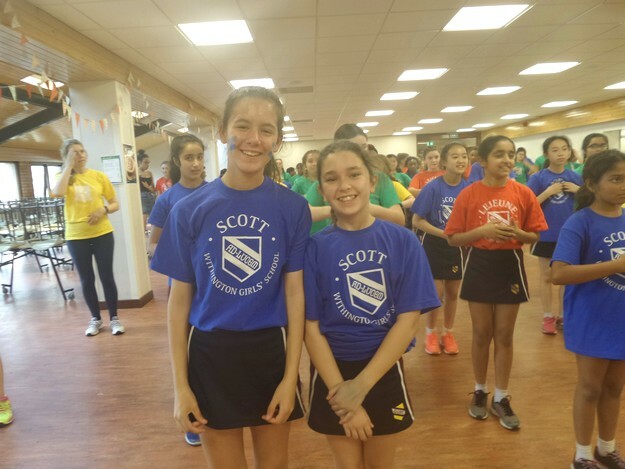 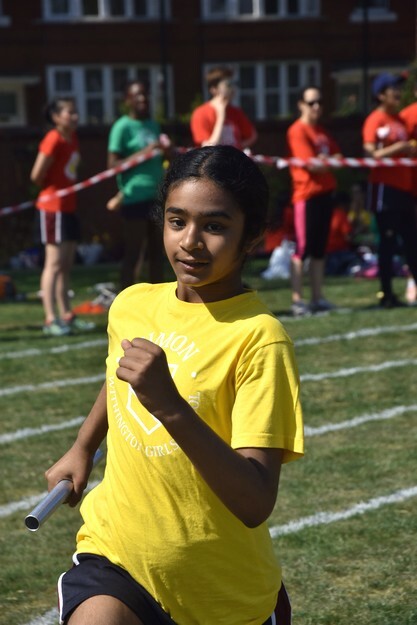 Featuring an Olympic torch and providing a snapshot of school life, the presentation was set to the rousing tune of Queen’s A Kind of Magic, with the lyrics – One Dream, One Soul, One Prize, One Goal, providing a fitting backdrop to the day’s exciting events. 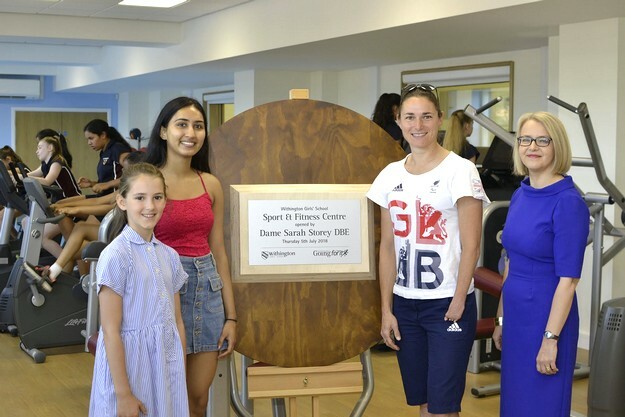 The entire day of the official opening of our wonderful new sports facility was dedicated to celebrating sport and fitness. 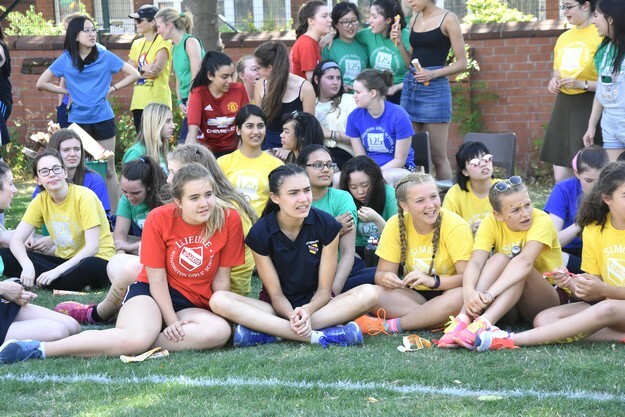 Senior School Sports Day events took place on the field in the first part of the morning, before all Senior pupils gathered in the Arts Centre for the formal Opening Ceremony and address by Dame Sarah. 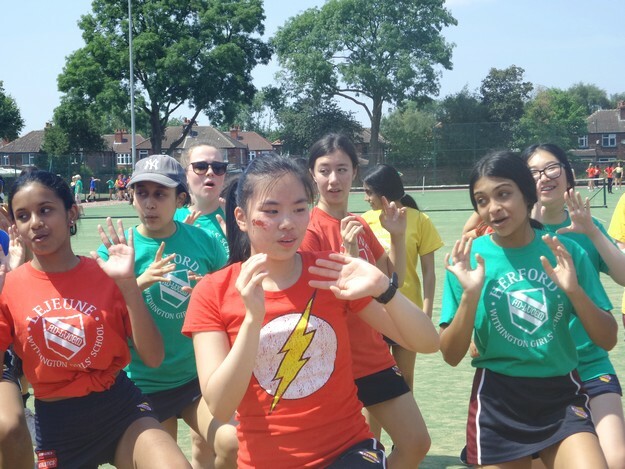 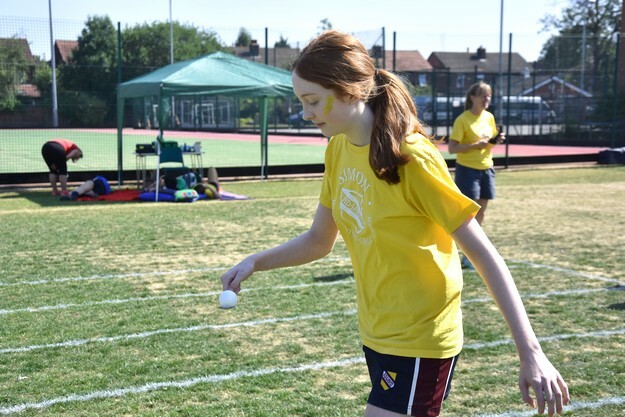 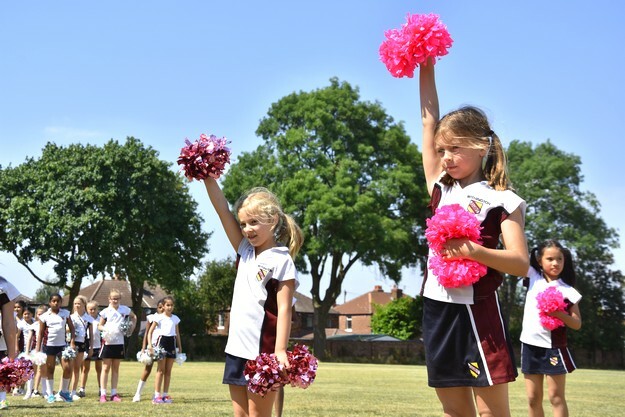 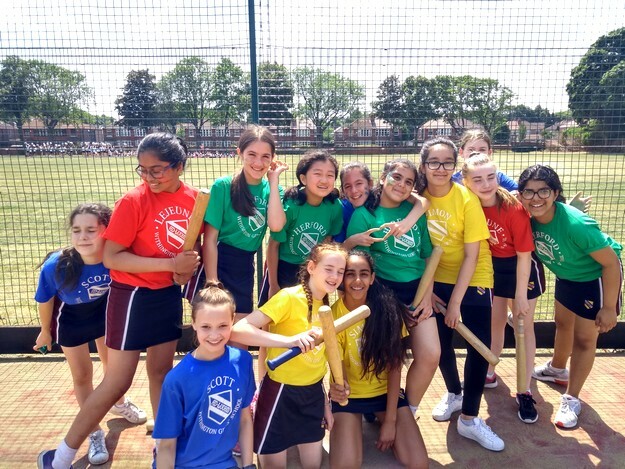 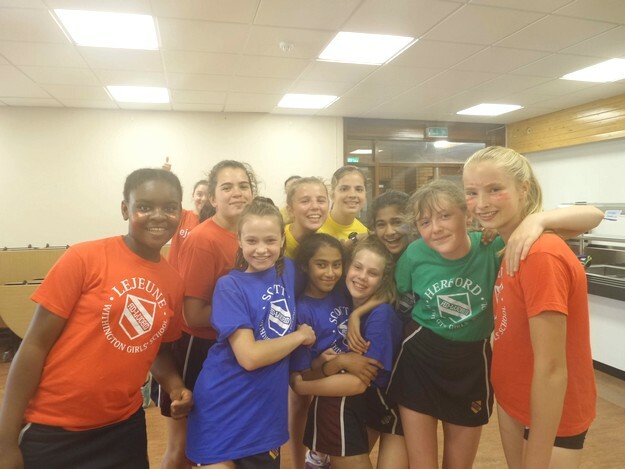 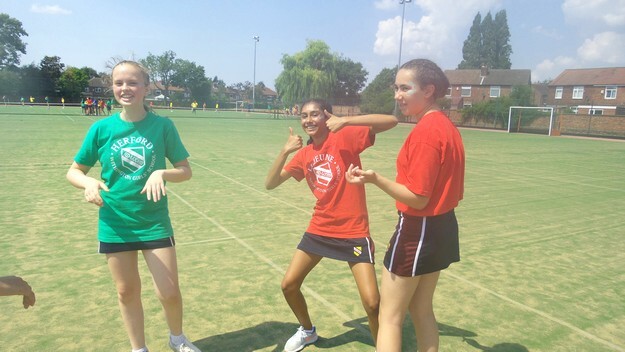 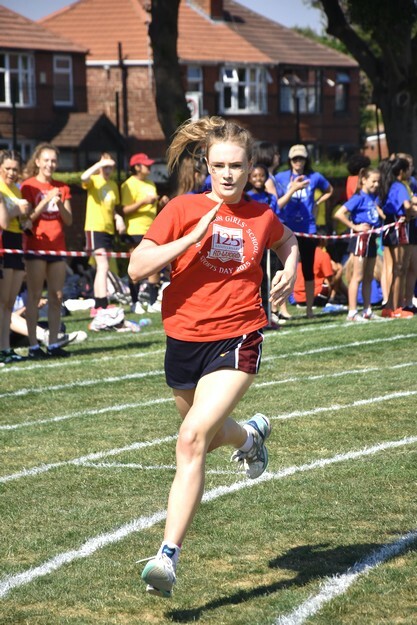 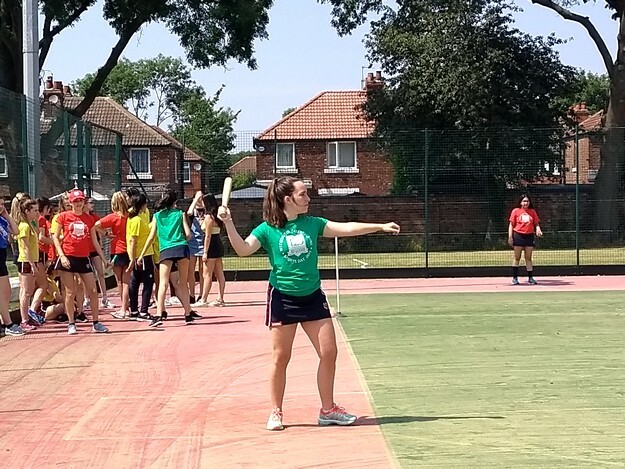 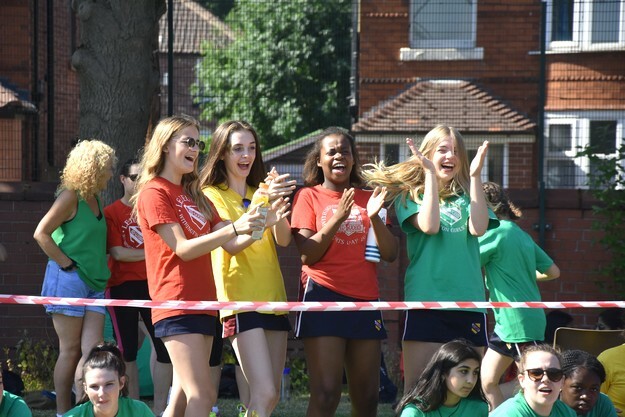 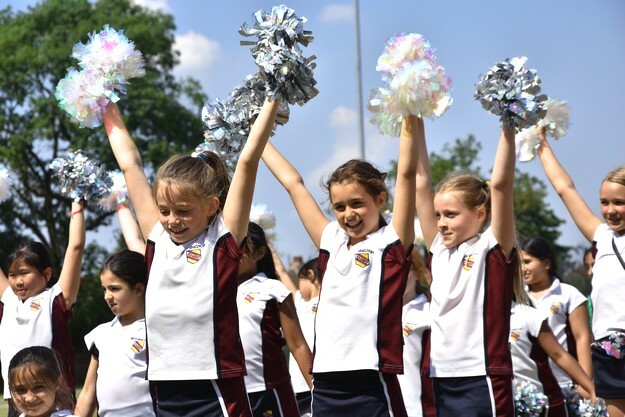 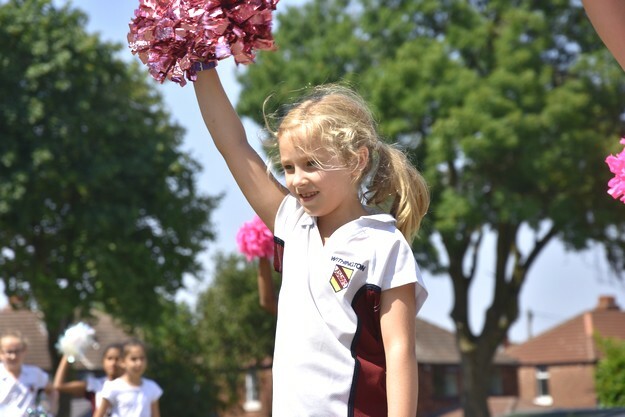 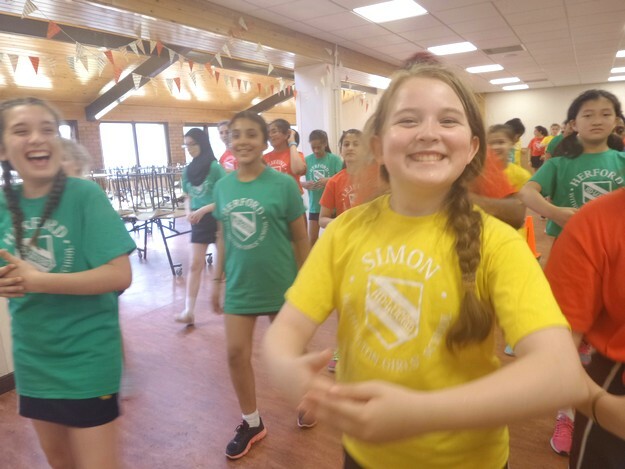 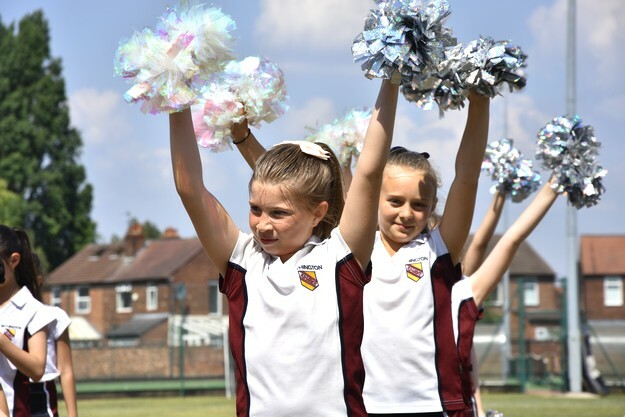 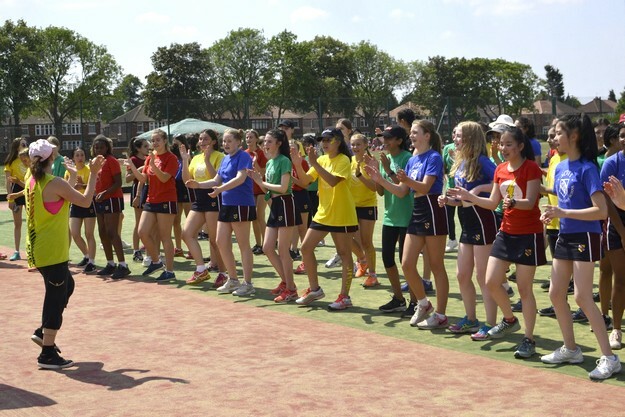 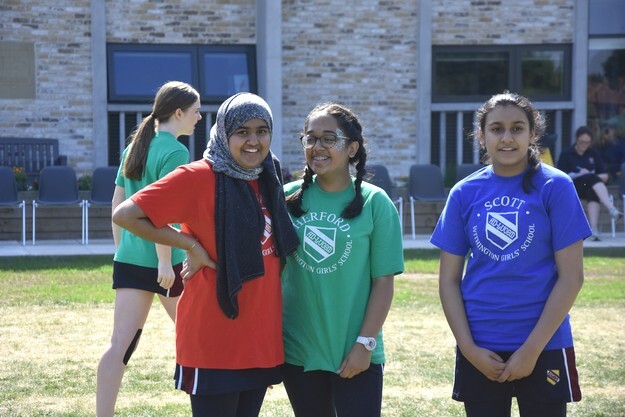 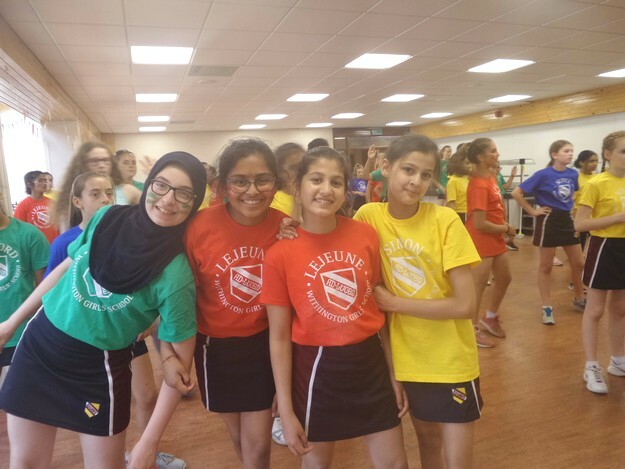 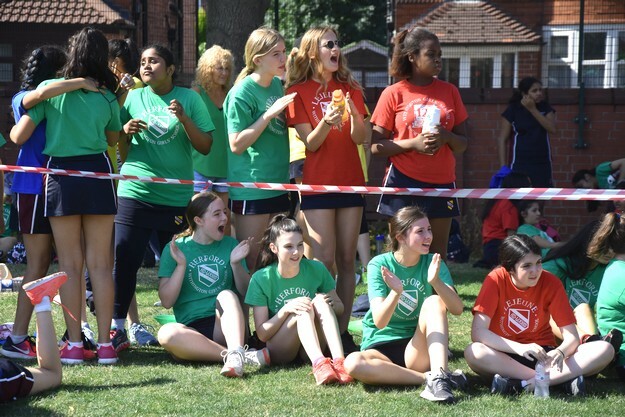 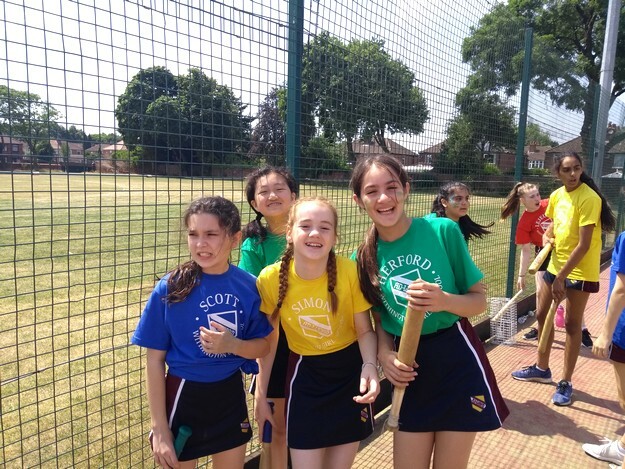 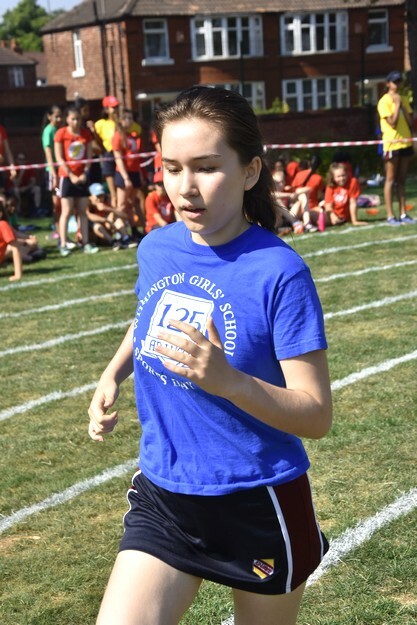 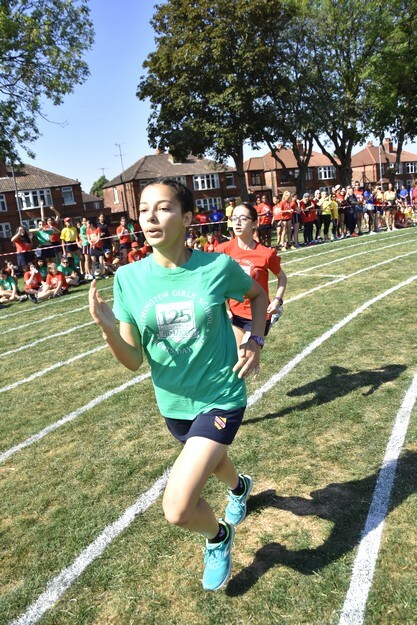 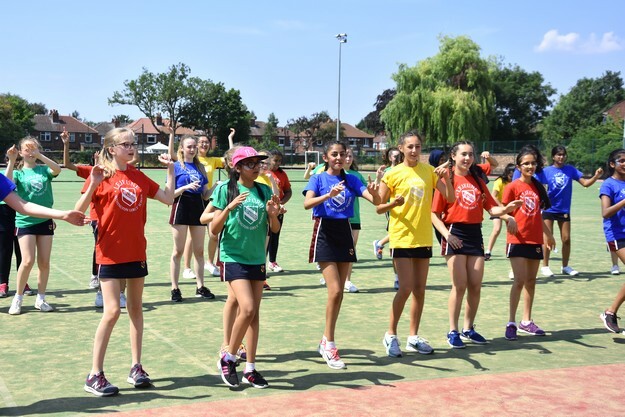 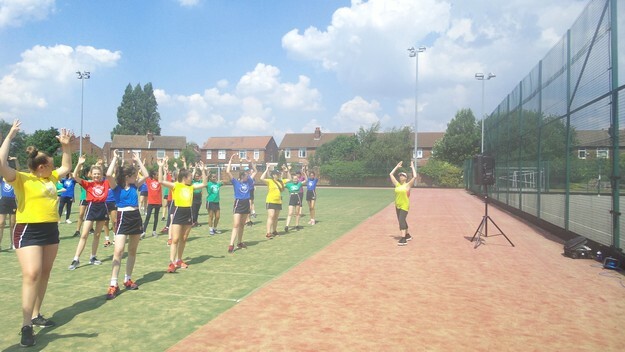 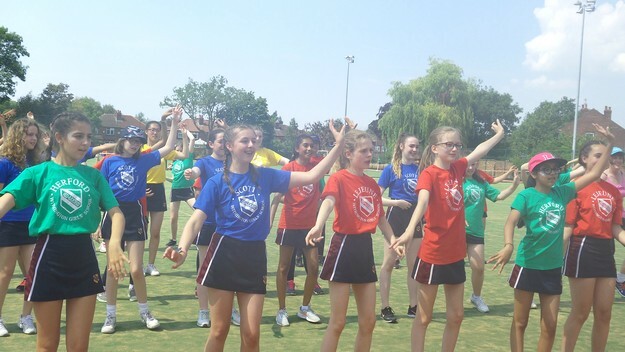 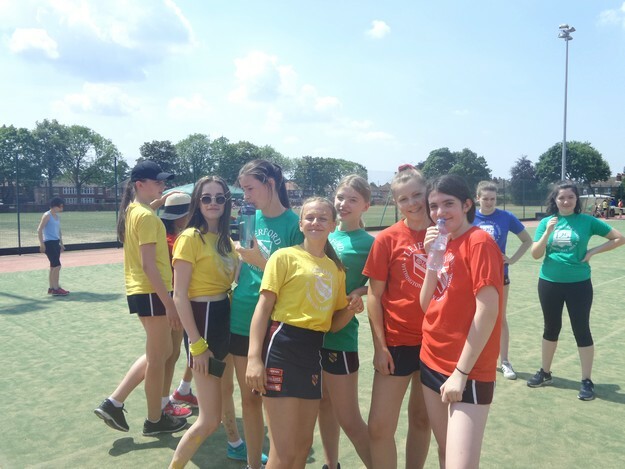 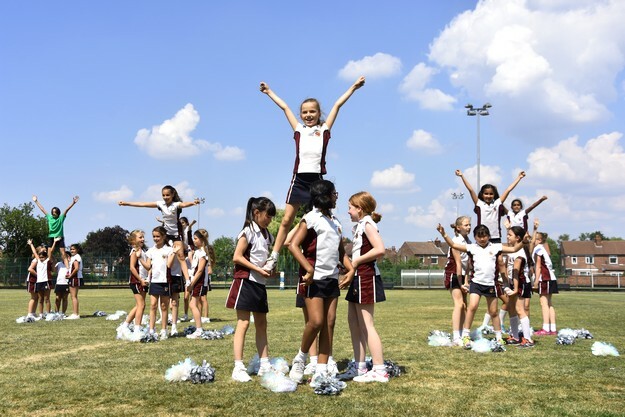 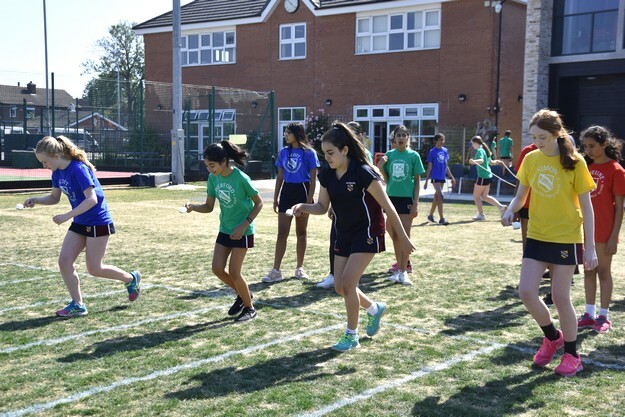 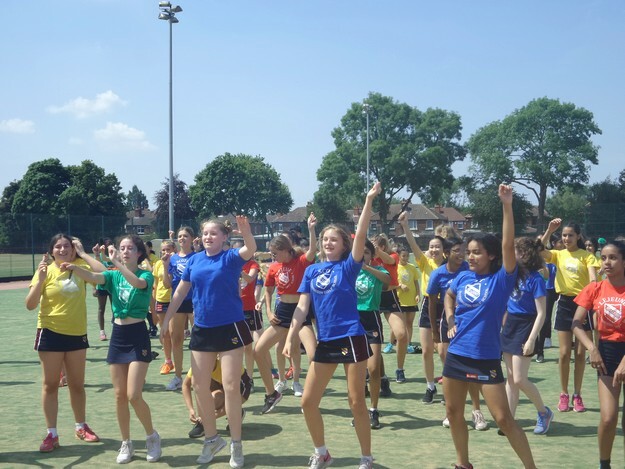 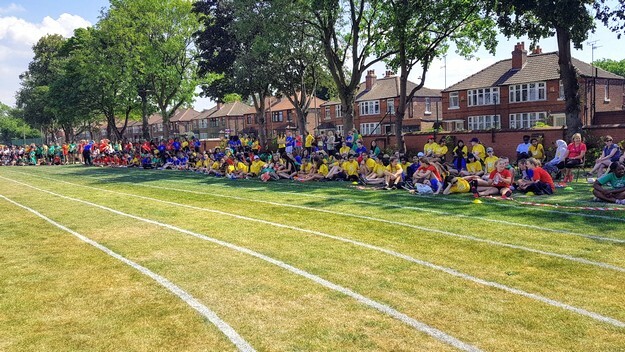 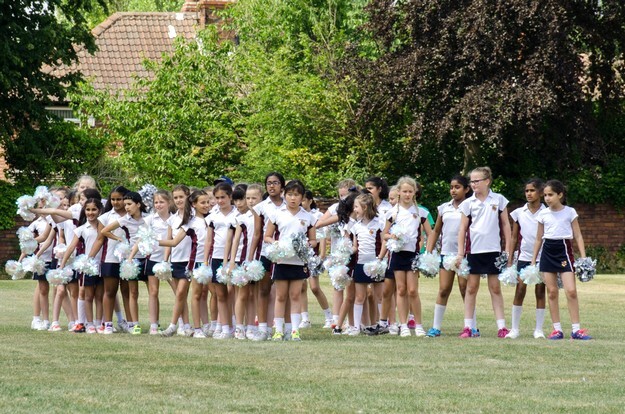 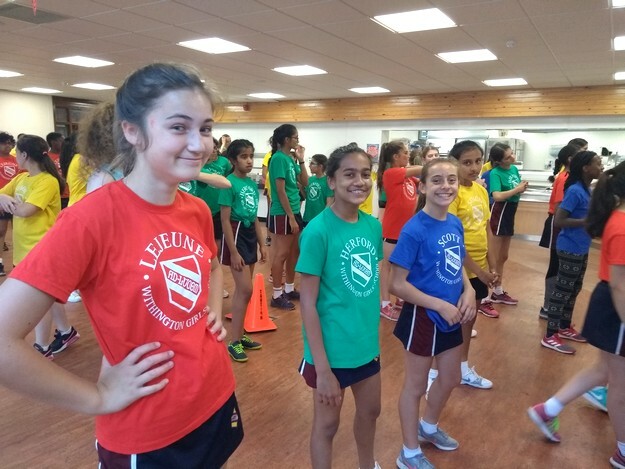 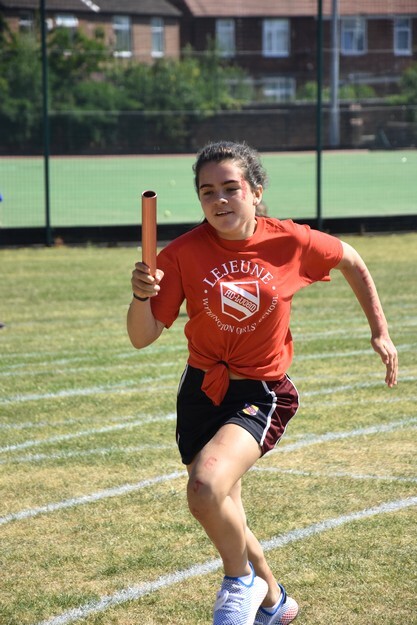 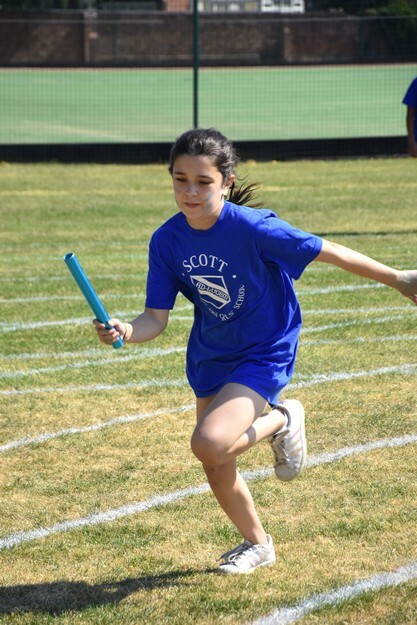 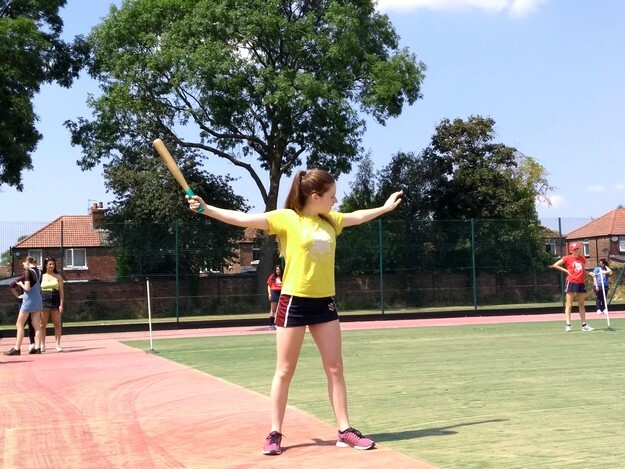 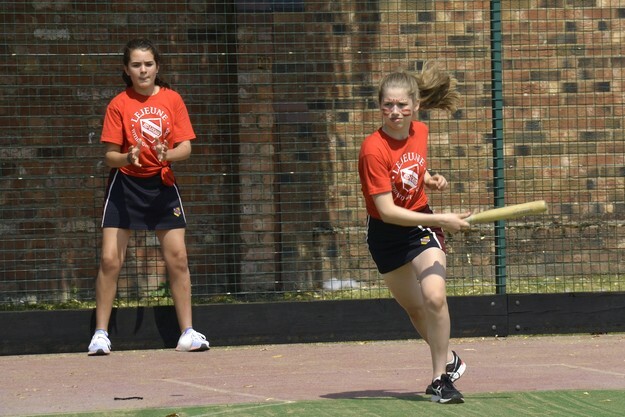 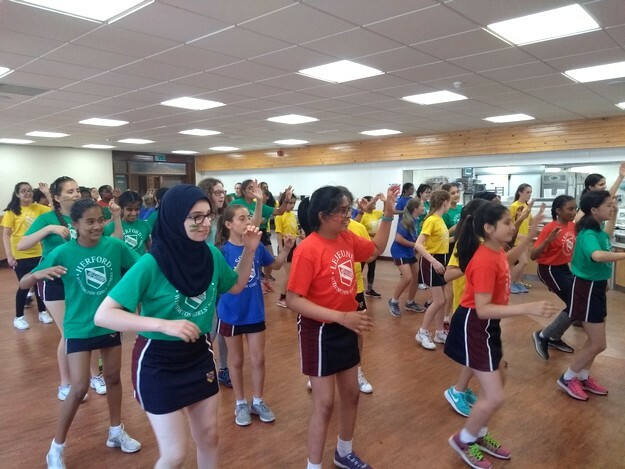 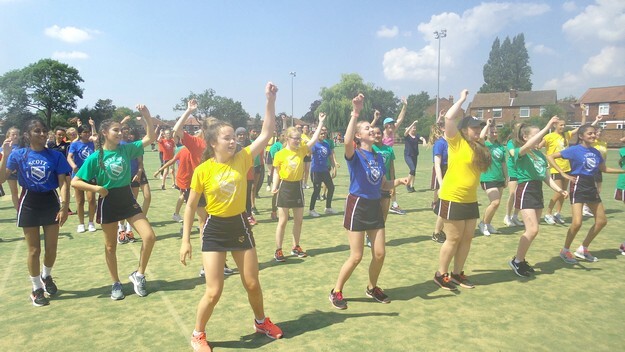 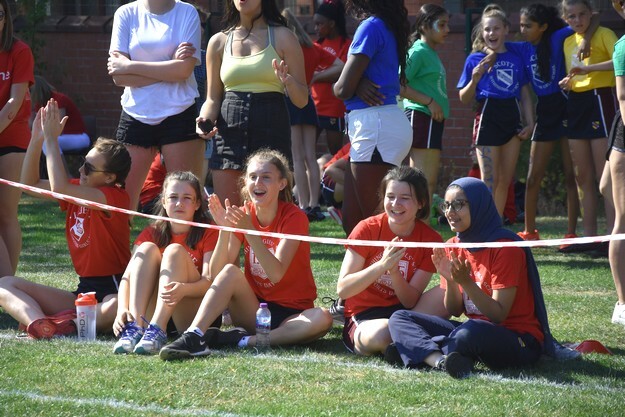 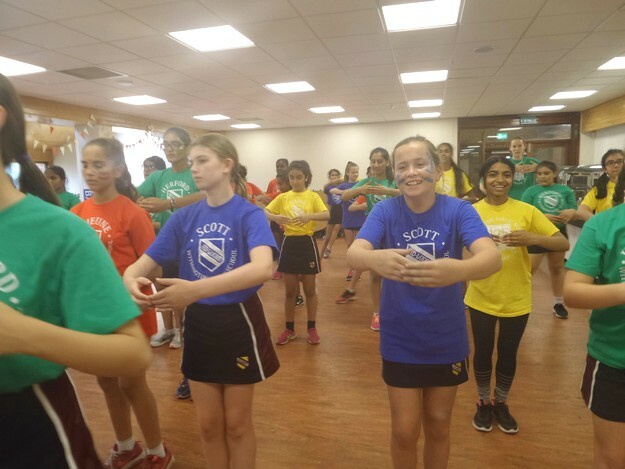 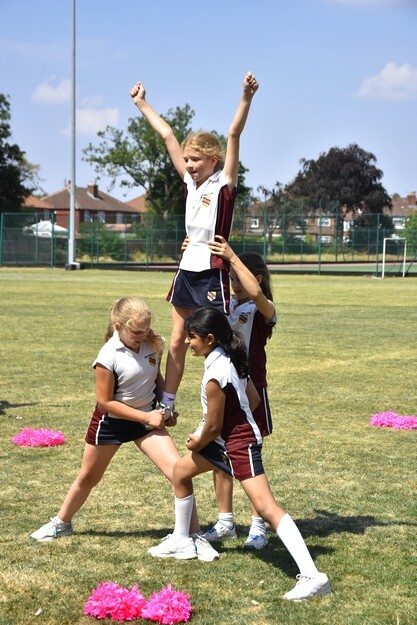 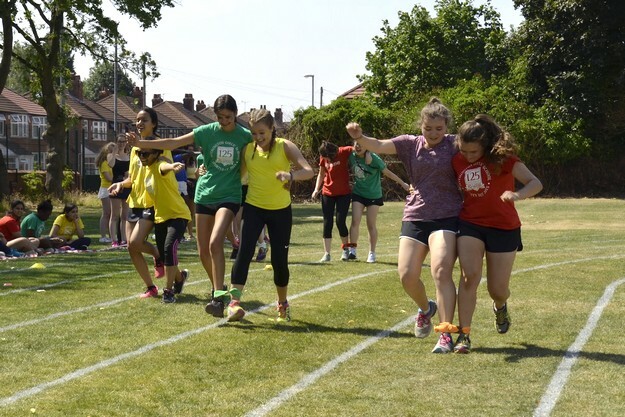 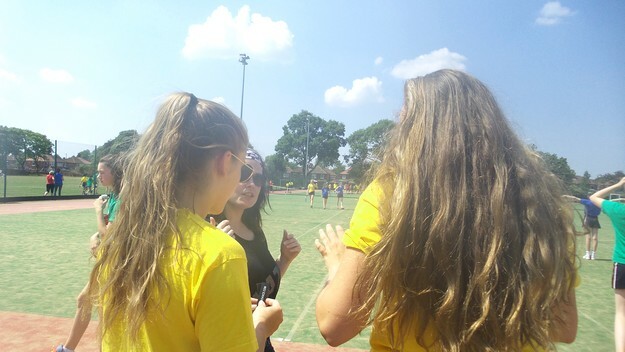 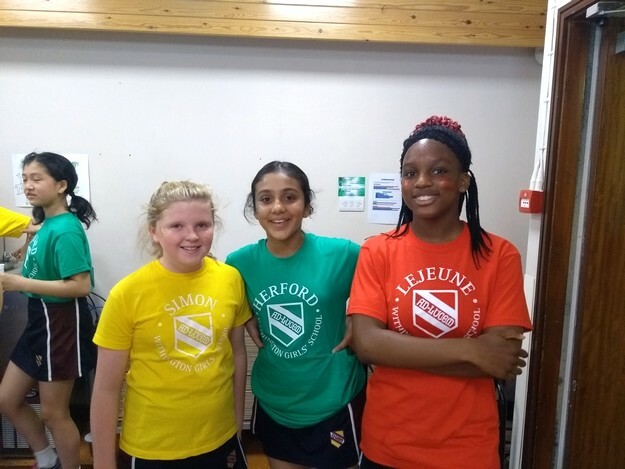 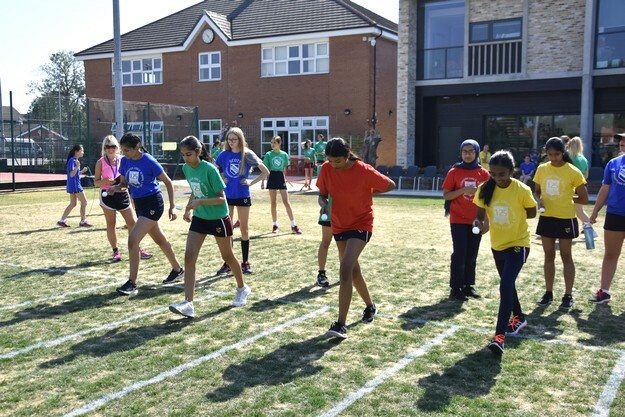 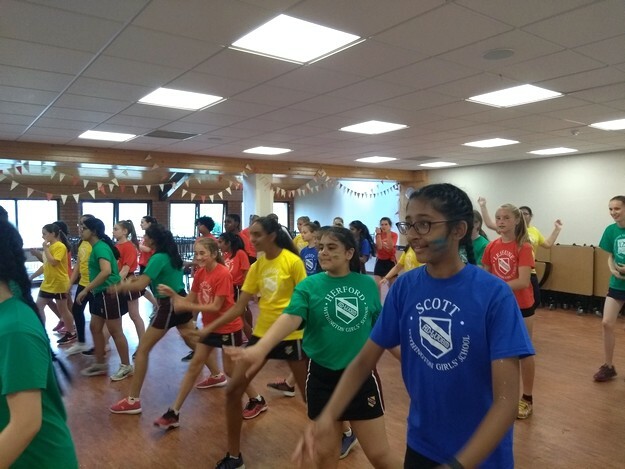 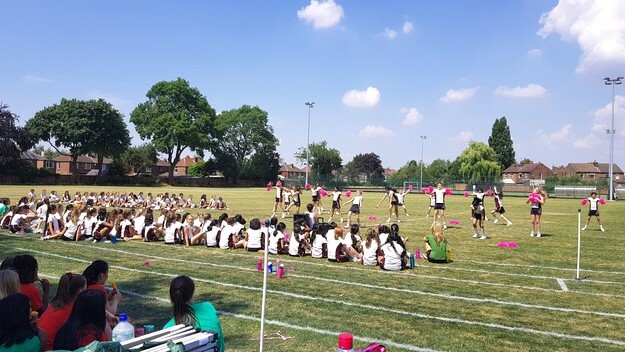 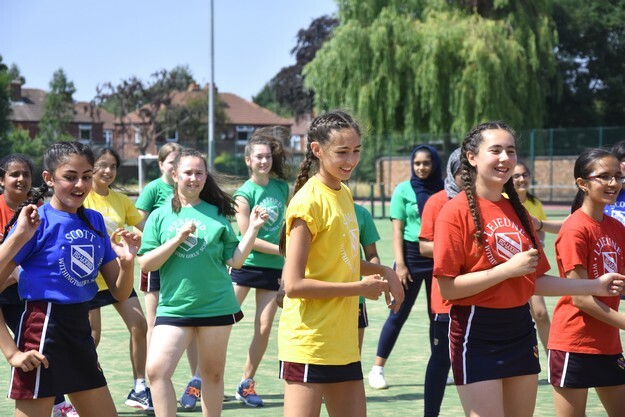 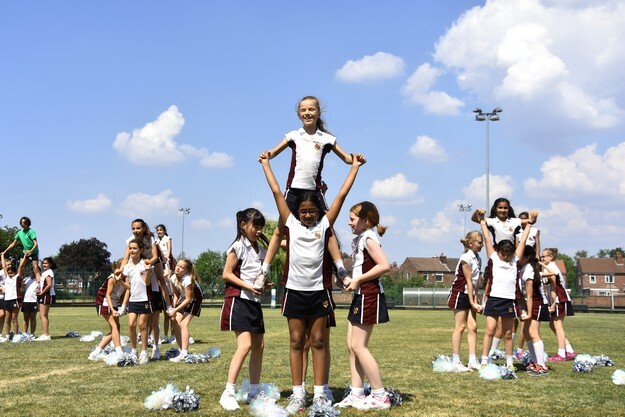 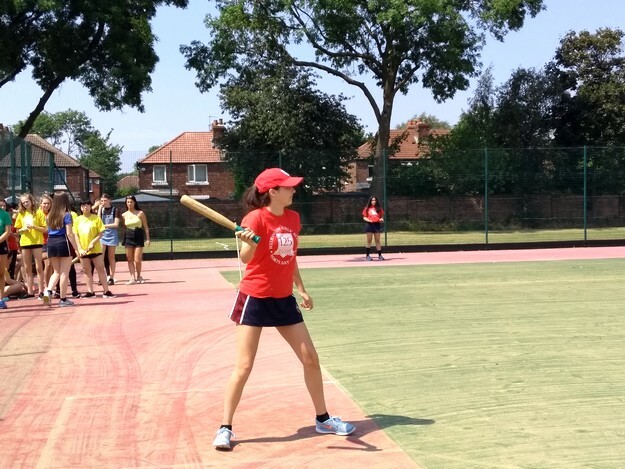 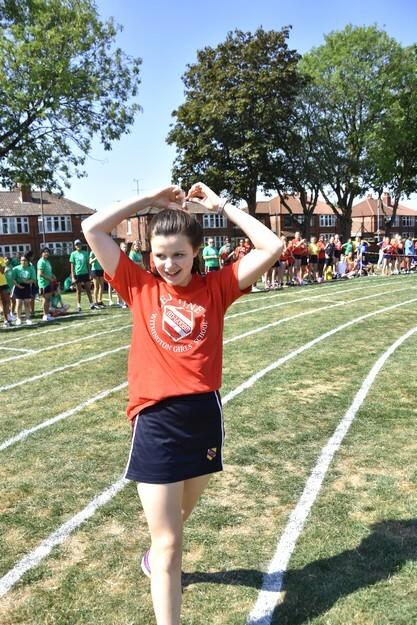 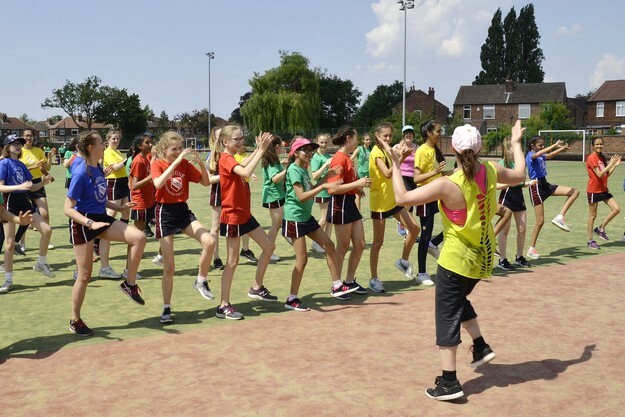 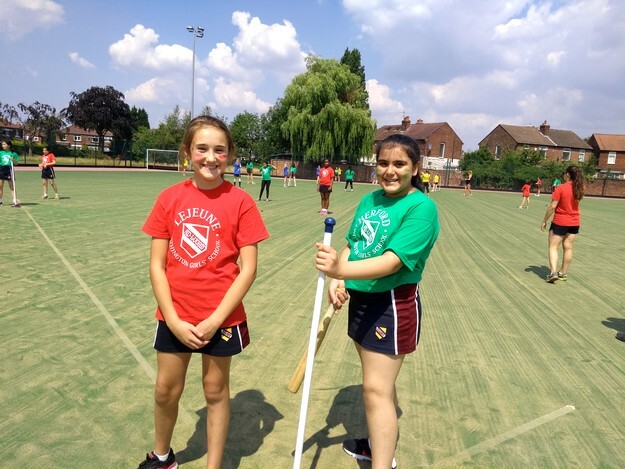 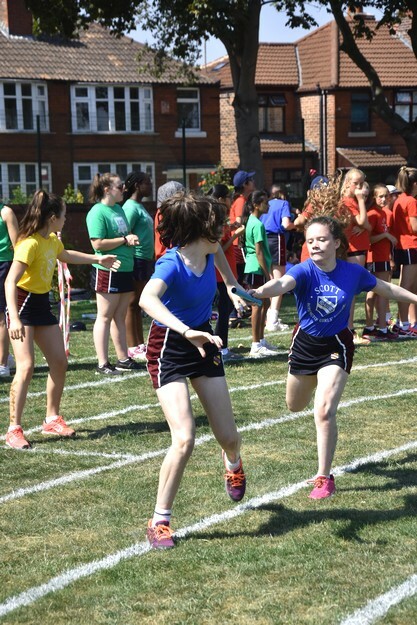 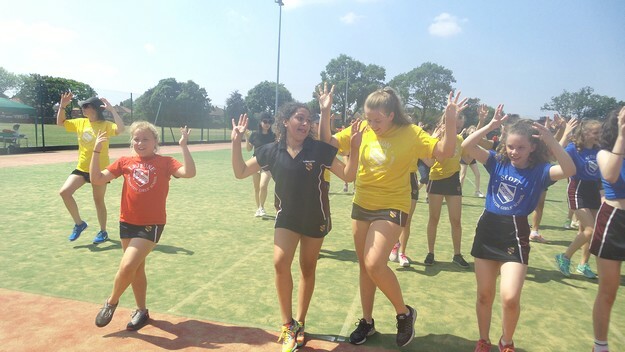 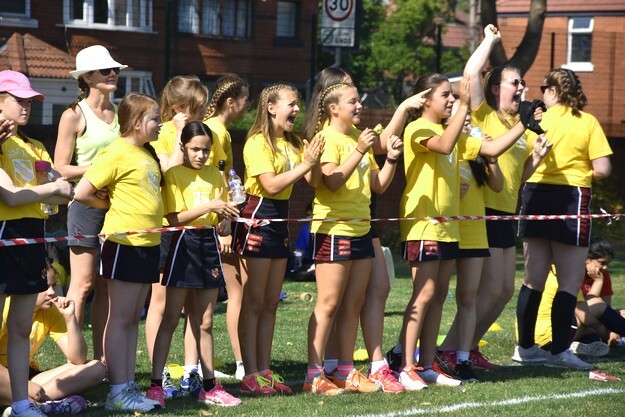 After lunch, the whole school gathered on the field for a carousel of fun sport and fitness activities, such as Zumba, Rounders, Staff and Sixth Form races, a fantastic cheerleading demonstration by Junior School girls and much more besides. 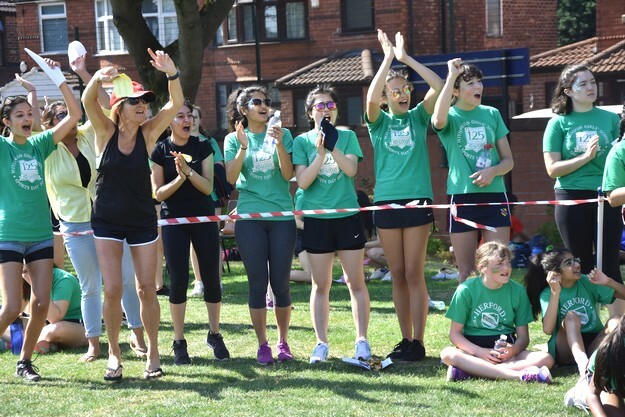 Everyone was highly entertained whilst enjoying ice lollies in the welcome shade along the Victoria Road boundary wall and it’s a fair bet that a staff competition will become a new Withington tradition!